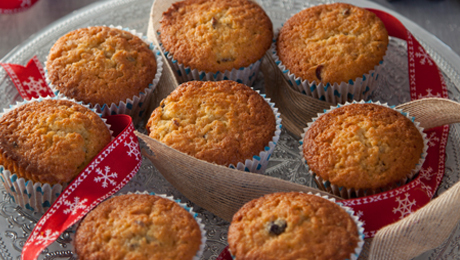 Yummy Mincemeat Cupcakes for the whole family to try!! Preheat the oven to 180°C/350°F/ gas mark 4. Line a 12-cup muffin tray with deep paper cases. In a large bowl, beat together the butter and sugar. When it’s pale and fluffy, add the eggs one at a time, mixing well between each addition. Add the vanilla and mix again to combine. Sieve the flour into the mixture and mix thoroughly. Add the mincemeat and stir until combined. Divide the mixture between the paper cases, filling each one two-thirds full. Bake for 20 to 25 minutes, until well risen and cooked through. Transfer to a wire rack and allow to cool completely before icing them. To make the icing, sieve the icing sugar into a bowl and add the lemon juice one spoonful at a time until the icing has a slightly runny consistency. Pour the icing over the muffins to create a snow-capped effect. Alternatively, use ready rolled icing and cut Christmas themed shapes to decorate the tops.